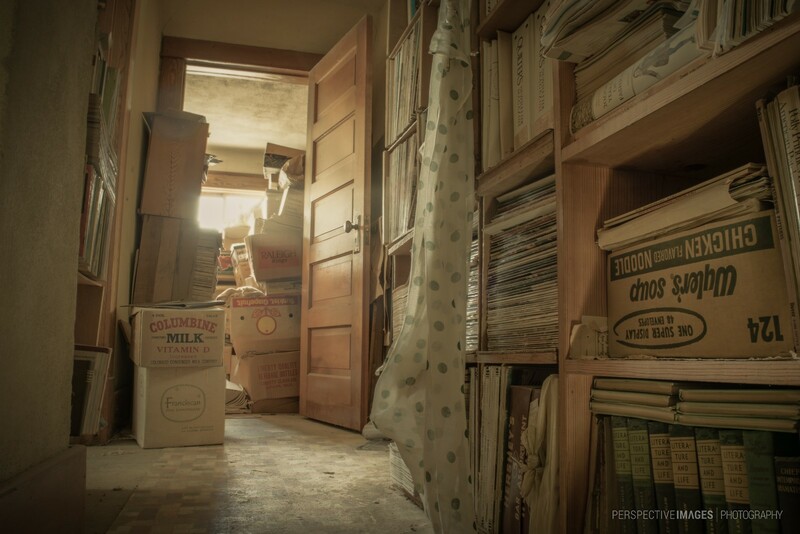 Stacked books line the walls and cover every possible surface at an abandoned home in a very remote ghost town on the Eastern Plains of Colorado. A life times worth of reading and collecting, silently collecting dust. This is such a cool capture! Enter in a place like this, it’s like enter in a egyptian tomb. The feeling, of the first time, must be identical. The “light beam” is fantastic. The light is really beautiful here!